Despite seeing it every single day on the way to work, I never got around to trying out the MMC Information Kiosk until today. 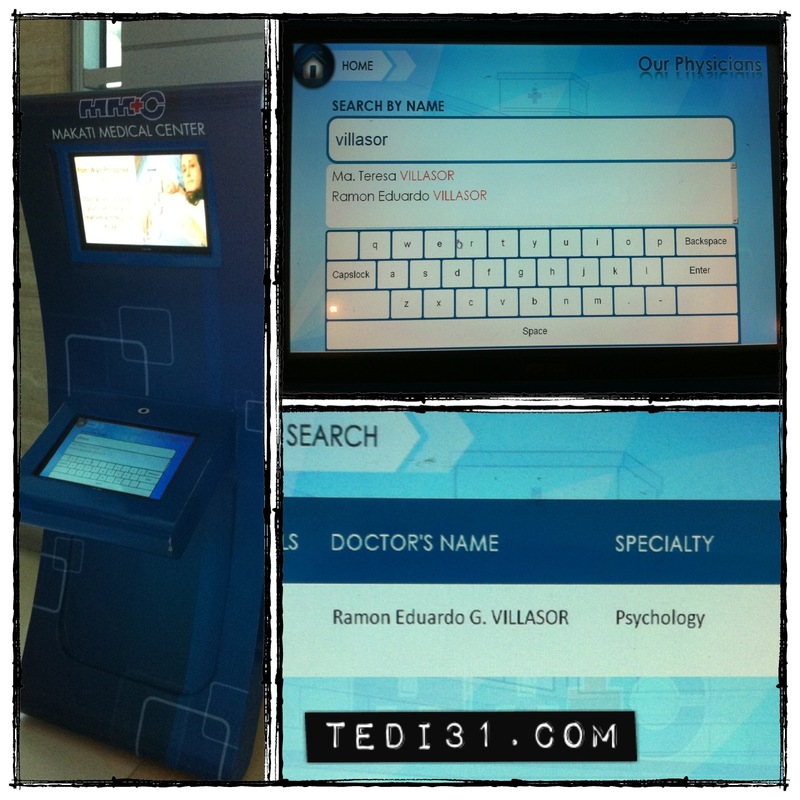 Among the many 21st century innovations that I have seen around the Makati Medical Center (MMC), one of the more prominent ones are the computerized information kiosk’s strategically located around the hospital. The purpose these kiosks–among other things–is to assist patients in finding the right physician for them. It includes a search engine containing all MMC active consultants (including yours truly), their respective specializations, and their consultation hours. It’s nice to know that these things actually work! That said, stop by and try them out the next time you find yourself in the Makati Medical Center.